Inspired by the Swedish abstract artist, Hilma af Klint, I couldn't resist the budding spring color scheme of Addiction's Flower Evolution 2017 Collection. The rose-colored lens I used to view this masterpiece quickly came off as soon as I began swatching the eyeshadows. I love this brand (fronted by a makeup artist I respect). 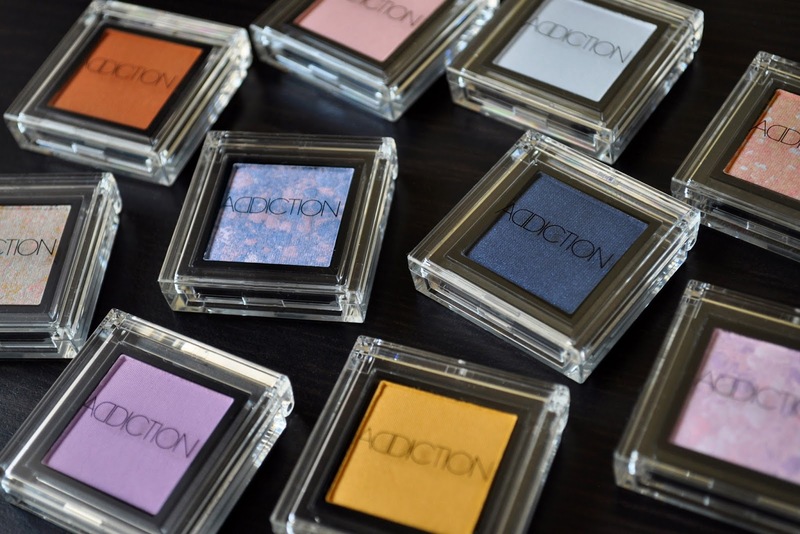 Yes, pastel colored eye shadows are very hard to formulate, but with Ayako as the creative director, I thought Addiction could pull it off. Heartrendingly, no; the shadows were a disappointment. Whether it was the lack of pigmentation, or the chalkiness, or the patchiness, they all had an issue of some kind. 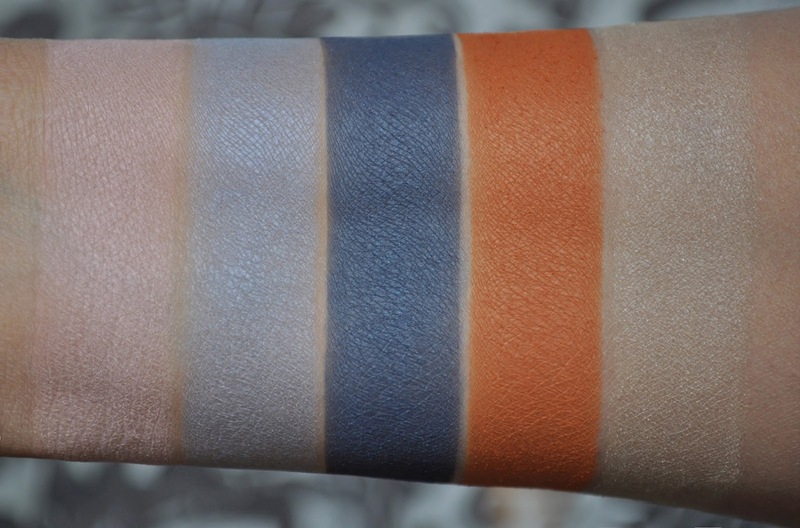 When swiped lightly or on the lid, the majority of the shades look the same. Also, out of the ten shadows, I'd say only four of them were "good," without a white base...but, barely. To date, I've never used a primer in my swatches. Yet, I had to use one (along with several layers) in order to get the some of the eyeshadows to show up. From left to right: Pink Almond, Flower Evolution, Midnight Moon, Lady Amaryllis, Like a Dream. 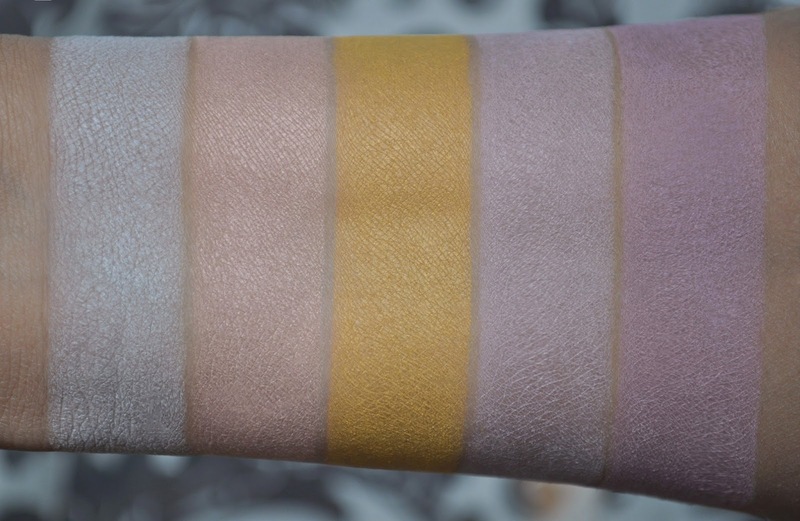 Pink Almond 111: a matte, white based, yellow-toned, pastel pink. Flower Evolution 112: a semi-matte, pastel french blue. Midnight Moon 113: a semi-matte, sun bleached, midnight blue with blue and violet micro-shimmer. Lady Amaryllis 114: a matte, muted (yet vibrant) orange. Like a Dream 115: a satin, muted, pastel buttercup with a celery undertone. From left to right: Crystal Sky, My Darling, Crown Imperial, Flower Portrait, Silky Lilac. Crystal Sky 116: a matte, white based, pastel blue. My Darling 117: a satin, peachy-pink with a champagne sheen. Crown Imperial 118: a matte, muted, saffron yellow. Flower Portrait 119: a matte, white based, pastel lilac. Silky Lilac 120: a matte, white based, deeper, pastel lilac. All was not lost in buying these shadows. With a purchase of 9,600 yen, the collection did offer a choice between two palettes, featuring Hilma af Klint's Group 4 No 1 Childhood and The Ten Largest, No. 5, Adulthood prints on them. I wish I had not been in such a frenzy to get the collection, and visited the counter beforehand, instead of placing my order over the phone with the counter. I probably would have only purchased Lady Amaryllis, Like a Dream, My Darling, and Crown Imperial. Have you tried Addiction blushers? the pressed powder ones? I own several on the ADDICTION blushers, and love them. Have you tried them Jakk?